What do you get when you give 2 cows, 2 sheep, 2 pigs, 2 goats, and 20 chickens? The satisfaction of providing new hope and lasting impact for up to 10 families in need around the world! These farm animals will bring smiles to the faces of moms and dads who will be able to feed their children and increase their family incomes, thanks to you. Create a fundraising page and share it with friends and family. Only $2,620 will provide 28 farm animals to help families in need. 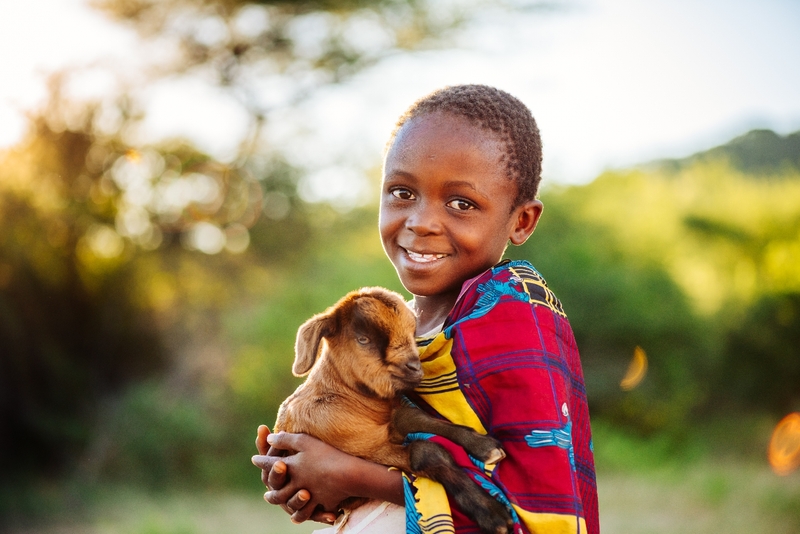 See how farm animals make a big impact for a community in need. Want copies of the World Vision gift catalog for your event? Email mycause@worldvision.org or call 800-299-4311.